Chatting to friends who regularly visit Queensland’s Sunshine Coast, I asked why they never stay on the Gold Coast. The reply was that they were too old for such a party destination! But what many people don’t realise, is that there’s a whole lot more to the Gold Coast than pubs and clubs. In fact, this is a subject that the Gold Coast Tourism Corporation is taking very seriously at the moment, saying the region’s glittery image is now outdated. Without a doubt it’s still a great destination for those who love to party, but that’s just one element of what the region has to offer. In the same way, there’s plenty of choice when it comes to resorts, to suit everybody’s needs. So while Schoolies may choose Surfers Paradise, those looking for something a little more sophisticated tend to choose holiday houses in Broadbeach, or other more peaceful suburbs. 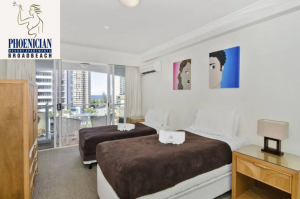 Choosing accommodation in Broadbeach on the Gold Coast is a smart move, as it places you in an ideal location from which to explore this very varied region. As a holiday destination, the Gold Coast really does have something for everyone, from the endless stretches of pristine beach and some of the best surf breaks in Australia, to the cool, lush rainforests and mountains of the hinterland. It’s almost a region of extremes: bush and beach, theme parks and amusement arcades, art galleries and museums, fine dining and takeaway burgers, chic boutiques and colourful markets. Nature-lovers will discover peaceful national parks and bird sanctuaries, while adrenalin junkies have an endless list of fast rides and excitement to choose from. There’s every type of water sport available, from kite-surfing to kayaking, and just about every type of terrain, from leafy forests to sand. And the best thing of all is that all of this is within easy reach of the resort apartments and holiday houses in Broadbeach! As well as the many year-round activities and attractions on the Gold Coast, there are some pretty outstanding events, too. 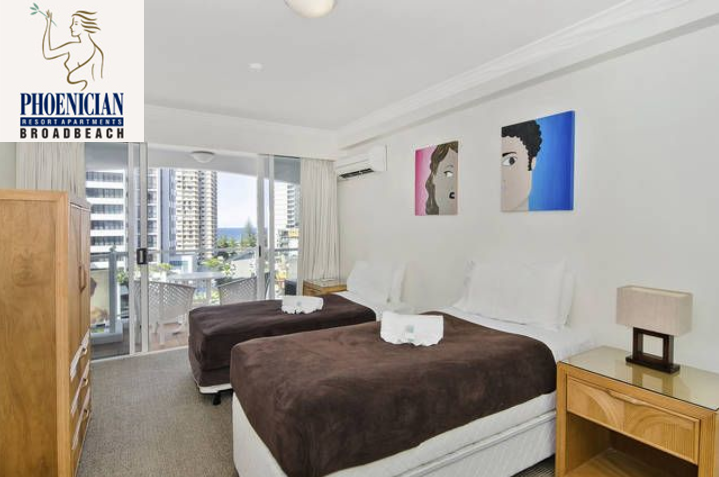 Many people use accommodation in Broadbeach on the Gold Coast as a base to attend major sporting events, such as the Burleigh Classic Surf Championships later in June; the City Versus Surf rugby union carnival at the end of June, and the Intercontinental Sanctuary Cove 4 Ball Challenge in July. There’s no shortage of amazing shows, either, with one of the most eye-catching being Viva Surfers Paradise in July. This razzle dazzle of a show pays tribute to the world’s greatest music legends with 10 days of free entertainment, including performances by the best tribute artists, rock ‘n’ roll dancing, classic cars, and the Ultimate Elvis Tribute Artist Competition. Rev heads young and old will make a beeline for the Gold Coast in October, when the world-famous Castrol Gold Coast 600 – V8 Supercars come to town, while families will be booking in for the amazing Outback Spectacular. Those friends of mine I mentioned have already booked their accommodation in Broadbeach, armed with the long list of must-sees I gave them. So isn’t it time you gave the Gold Coast a go?